Here are all the characters-and then some-for building your own nativity scene! 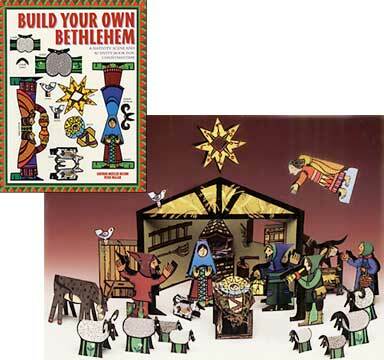 This beautiful, full-colour activity book (the pop-out figures are found inside) suggests eight occasions, from Christmas until Candlemas-a full 40 days-for using the figures to tell a portion of the nativity gospels, like a puppet theater! Celebrate these Advent and Christmas stories at home or in the classroom: the annunciation to Mary, the birth of Jesus, the coming of the shepherds, the flight into Egypt, the visit of the Magi and more!